George Lucas is one of America’s richest men and he acquired his wealth from film productions and other entrepreneurial activities. A graduate of the University of Southern California, he started off in the film industry as a cinematographer, before branching out to directing and production with his debut movie THX 1138. He is also known as the frontman of Lucasfilm and Industry Light and Magic (ILM). Early in life, he didn’t start off as a very serious-minded person especially with his academics as he preferred to ride cars instead. However, after he faced rejection from his parents who decided not to foot his academic bills for an arts school, he turned to social sciences and took interests in film and photography. George Lucas was born in California, in a city called Modesto, USA. He was born to George and Dorothy on May 14, 1944. He is the only son in the family of four girls. His father was a walnut farmer and a sales man who sold office equipments. He had a lasserfaire attitude towards his education and was more interested in car racing as he owned a Fiat in high school. He was later involved in a ghastly accident that almost cost him his life and after being discharged from the hospital, he wanted to enroll in an arts school, but his parents refused to pay for it. He went on to enroll in Modesto Junior College, where he studied social sciences. He picked interest in film and photography while at the college. He began filming and one of his first films was a car racing event where he met Haskell Wexler, a famous cameraman who helped him gain admission into the University of Southern California film institution. At the university, he produced a few films including THX 1138: 4EB. 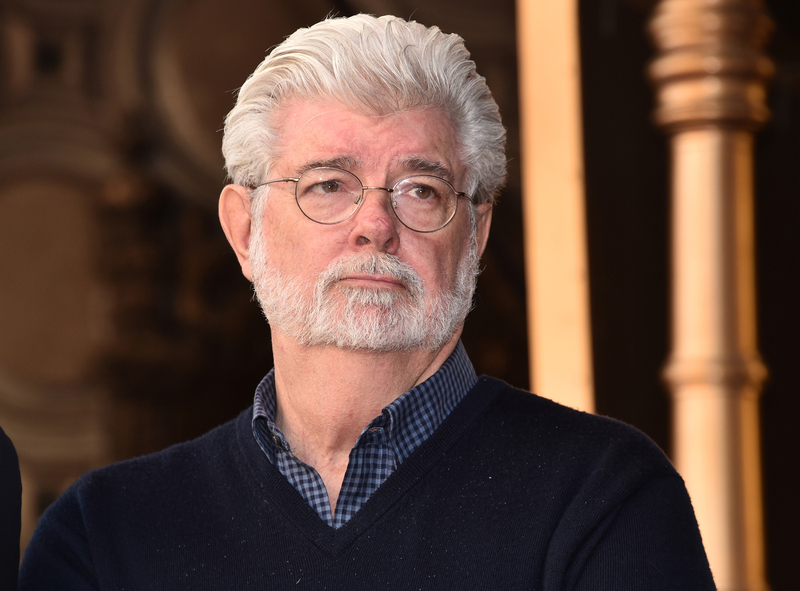 George Lucas also produced some others immediately after graduation and in 1969, he won a scholarship by WarnerBrothers that enabled him to work on the movie Finian’s Rainbow. He edited this movie while working with director Francis Ford Coppola and he also participated in Coppola’s next film. He recreated his previous movie in a short feature film titled THX-1138 and became popular for the Universal sponsored movie American Griffiti. The film’s production cost about $750,000 and became one of the most profitable movies in the 1970 despite doubts even from its studio managers. It was also nominated for Academy Awards five times. Lucas next big job in directing was the Star Wars trilogy released in May 1977. It recorded huge sales worldwide up to the tune of $400 million. He also made $500 million from sales of Star Wars merchandise such as books, kits and the likes over the course of 1977-1980. Star Wars had sequels of which George retained rights to. After Star Wars, he left directing for the next twenty years and focused on production. The creative director was also behind the production of Star Wars: The Empire Strikes Back where he served as executive producer. 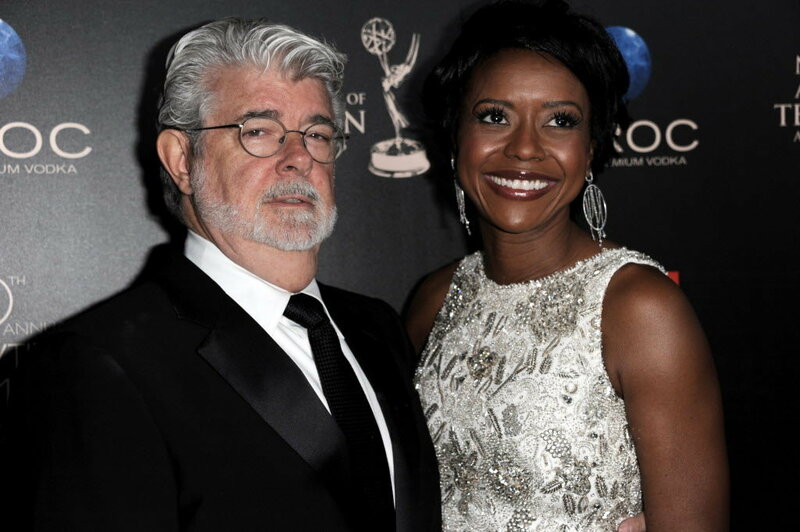 George was more active in the last movie latest offering from the Star Wars trilogy, Star Wars: The Return of Jedi, serving as both the script writer and executive producer. The three movies yielded $1 billion from sales and $3 billion from other merchandise. From then on, he continued to produce several movies such as Indiana Jones, The Man and His Dream, Radioland Murders, among others which were also highly successful. Indiana Jones was a trilogy that George is also popular for. He produced the first part of the series, Raiders of the Lost Ark but was less involved in the productions of the next two sequels. He also produced a television series of the Indiana Jones movie that only lasted one season. As an entrepreneur, George Lucas has been able to acquire a lot of wealth from filmmaking as well as other ventures. He is famous for the production of many iconic movies which generated billions of dollars. An evaluation done in 2019 reveals that the American filmmaker is worth $5.5 billion. George Lucas was first married in 1969 to Marcia Griffin. With Marcia, he adopted two children (Katie and Jett) and gave birth to a daughter Amanda Lucas. Marcia Lucas is an Oscar and Academy Award winning film editor of American descent. However, the union came to a an end in 1983. In 2013, he got married to Mellody Hobson, a businesswoman, former chair of DreamWorks Animations, and president of Ariel Investments. The duo have a daughter named Everest Hobson Lucas who was born in 2013. George Lucas is the founder of LucasFilm and Industry Light and Magic (ILM). He established it with the aim to manage his film empire. He is also the founder of a production house called Skywalker Ranch located in California. With all his hard work and contributions to the film industry, it comes as no surprise that he has received a couple of awards such as the Life Achievement Awards, National Medal of Arts Awards, Golden Globe Awards, and Saturn Awards among a long list of other awards. He has also received various honors, one of which is the Honorary Membership of the Society of Motion Pictures and Television Engineers. As with most billionaires, he is philanthropic. He has pledged to give half of his fortune to charity as a means of encouraging rich Americans to donate their wealth to charity. He is also the founder of George Lucas Educational Foundation among other charitable ventures.